….the first forms of healing…. are being retrieved today by the Expressive Arts Therapies. 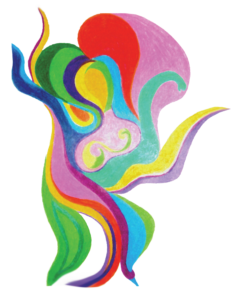 Somatic Art Therapy uses expressive arts processes to identify and help heal pain and illness in the body. When we use the body as a guide, we invite the possibility of wholeness and the transformation of wounding into healing, blocks into breakthroughs and pain into wellness. Studies have shown that trauma caused by injury or abuse is received in an altered state and stored in the cells of the body. It resides there and can continue to affect daily life through pain, illness or addiction. 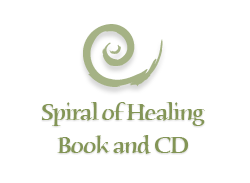 To fully heal the emotional and physical effects of trauma required an alignment with the body’s own healing abilities which are often blocked by the trauma itself. Mindfulness, art-making and body awareness practices, allows us to gently move into an altered state in order to clear trauma. The process of art therapy encourages this state-dependent imagery to emerge. In the safe space provided by the therapist, and through the art-making and imagery process, physical and emotional release occurs. 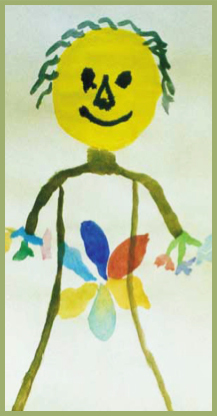 Somatic Art Therapy uses movement and body awareness, mindfulness, ritual and art making – drawing, painting, clay, assemblage, collage – to help heal by accessing the pictures we hold about ourselves and our body. When we image our beliefs and attitudes, we can work to change them, allowing for resolution and recovery. 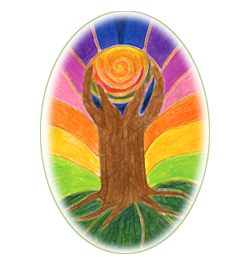 Because of its symbolic nature, the art therapy process is a complementary medicine which can be used in conjunction with other medical treatment. 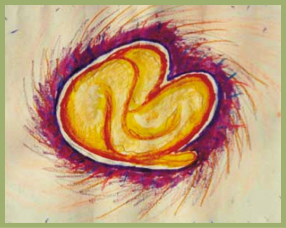 Somatic Art Therapy has been used in the healing of (1) Cancer, chronic fatigue and other immunologist illnesses; (2) Chronic body pain, migraine headaches and somatic effects of emotional, physical and sexual abuse; and (3) Pregnancy and labor trauma, infertility, other gynecological difficulties, eating disorders, addictions, and negative body image. We all possess a creative nature. Art-making activates this natural impulse. In Somatic Art Therapy the process, not the product, is the goal. Art work is neither judged nor interpreted.